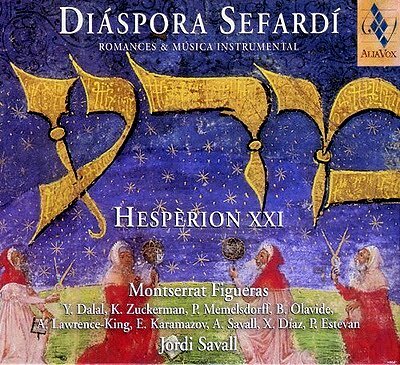 I find myself returning again and again to Diáspora Sefardí, Jordi Savaal’s anthology of Eastern Sephardic music and this Sunday, March 9, I will be sharing this wonderful music with Future Radio listeners. Migration, survival and assimilation are all too familiar themes today, and it is worth retelling the story of the Sephardic Jews to remind us that culture is still more resilient than politics. During Roman times large numbers of Jews migrated into the Iberian peninsula of their own free, and their numbers were increased by Jewish slaves who were shipped into the region during the Diaspora following the defeat of Judea in the first century BC. In the fifth century Iberia came under Visigoth rule, and the conversion of the Visigoth royal family from Arianism to Catholicism brought the first persecution of Jews. The Muslim invasion of southern Iberia in the eighth century was welcomed by the Jews, and the two centuries of Muslim rule are seen as the golden age of Sephardic Jewry. During this period Arabic culture had a major impact on the Sephardic community with Arabic being used as the principal language for Sephardic science, philosophy and everyday business. This golden age was nurtured by Abd al-Rahman III (882-942) who was the first independent Caliph of Cordoba, and the city became an important centre for Sephardic Jews. 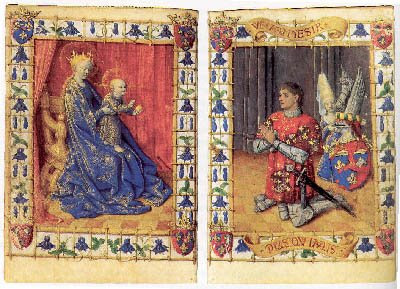 In 1492 the Christian Reconquista of the Muslim and Moorish states of Al-Ándalus was completed when Granada fell to Ferdinand and Isabella, Los Reyes Católicos (The Catholic Monarchs). 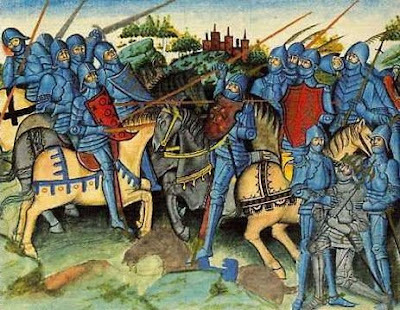 The same year the Jews were expelled from Spain by royal edict, and in 1497 they were also driven out of Portugal. Following their expulsion the Jews settled in north Africa, France and Italy. 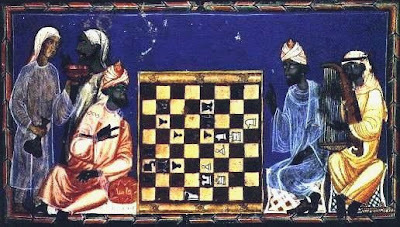 Initially Sephardic culture assimilated influences from the Arab culture of north Africa, from the Turks, Greeks, Bulgarians, Rumainians and Serbocroats and Bosnians. 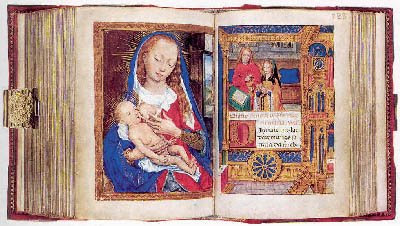 In more modern times Sephardic immigrants settled in other parts of Europe including the Low Countries, North and South America, and of course Israel. The term Sephardic comes from standard Hebrew, and in modern Hebrew the term still means ‘Spain’. In Israel today the word Sephardic is used for any Jew who not in the main Ashkenazi grouping which originated from Germany, Poland, Austria and Eastern Europe. This means Sephardic includes Jews from Arabic and Persian backgrounds who may not be migrants from Iberia, but who use the Sephardic style of liturgy. As my illustrations show the Sephardic legacy is considerable, and notable Sephardic Jews (defined as having at least one Sephardic parent) include Maurice Abravanel, Mario Castelnuovo-Tedesco, Maurice Ohana, Benjamin Disraeli, Hélène Grimaud, Otto Klemperer, Rosa Luxemburg, Darius Milhaud, Amedeo Modigliani, Murray Perahia, Charles and Maurice Saatchi, Baruch Spinoza, Diego Velázquez, Alexander von Zemlinsky and Cécilia Ciganer-Albéniz - aka the second Mrs Nicolas Sarkozy. Diáspora Sefardí is a double CD of songs, ballads and instrumental music from the eastern Sephardic communities. The music is a real revelation, reflecting diverse influences including its medieval Hispanic origins, the Ottoman style, and the folk music of the Balkans. Jordi Savaal and Hespèrion XXI play on authentic ethnic instruments, and the charismatic Montserrat Figueras sings. The recording was made in 1999 in the Castillo de Cardona, Cataluna, and the sound captured by producer Nicolas Bartholomée is quite outstanding. I will be playing music from Diáspora Sefardí on my Future Radio programme at 5.00pm on Sunday March 9 repeated at 12.50am on March 10. The coupling is a new recording of Lou Harrison's Concerto for Violin with Percussion Orchestra. Illustrations from the excellent University of California, Irvine Sephardic culture website. Now read about another lost people. I once knew and Professor from Hamilton, Ontario named Sam Eisenstadt who had a very convincing theory claiming that Shakespeare was of Sephardic descent. 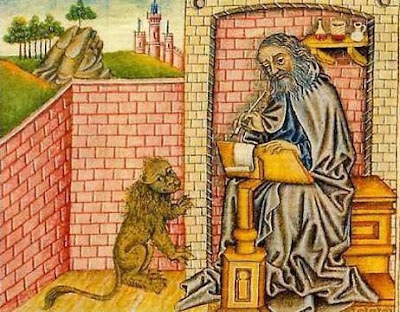 It is the only way, he claims, that Shakespeare could possibly have known details of Judaism that is present in a number of plays as well as The Merchant of Venice....Unless, of course, there really WASN'T a Shakespeare!!!!! !